This crew has the climb-twenty-pitches-in-a-day technical merits with a cruising-around-town look. Our new Capilene® 3 Midweight provides excellent insulation and ultimate comfort next to the skin. The most versatile and fastest wicking of our performance baselayers, its new fabric offers even better stretch, durability, wicking and breathability, and has faster dry times. Brushed on the inside for warmth, it's soft and compressible, and the smooth jersey exterior glides smoothly under layers. Details include a self-fabric collar, raglan sleeves with underarm panels for mobility and smooth layering, and a tuckable hem. 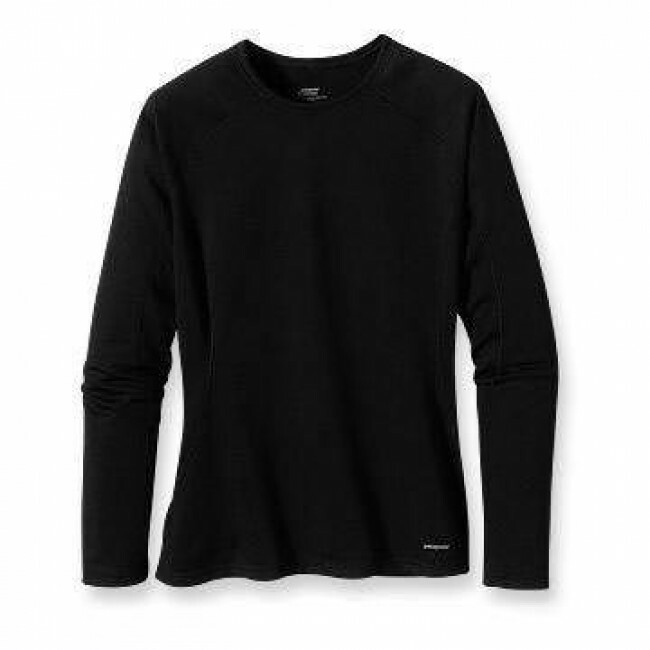 Made with Polartec® Power Dry® 5.4-oz polyester (65% recycled) double knit with Gladiodor® odor control for the garment. Recyclable through the Common Threads Recycling Program.